Sometimes when I make these vanilla cookies I can't be bothered to reroll and refrigerate the scraps of dough left after I have cut out the cookies. 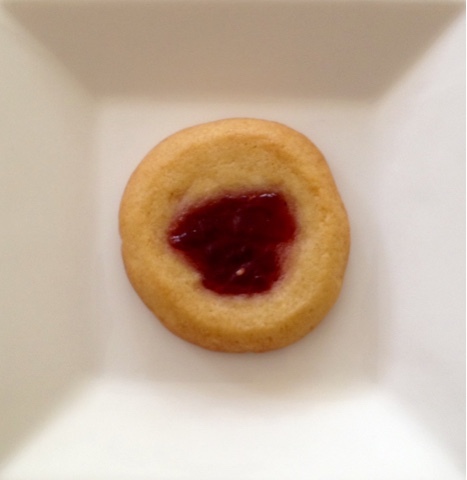 Instead I gather up the scraps and make these jam cookies. 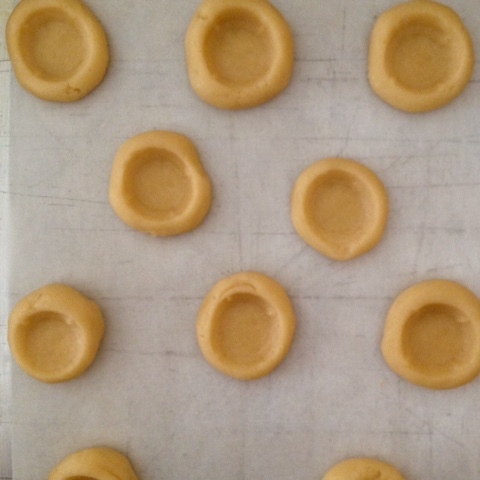 Simply break of balls of dough about the size of a walnut , roll them and then place the balls on a tray lined with baking paper. 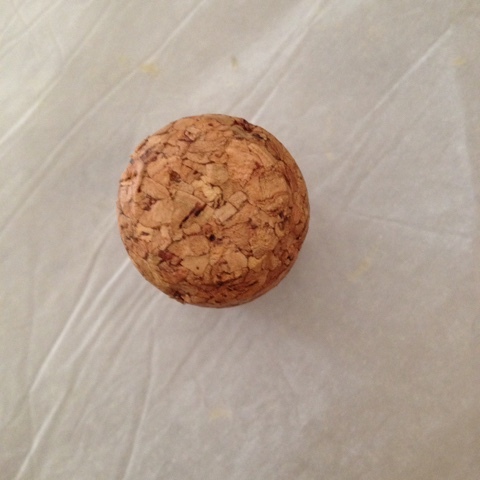 I use the top rounded end of a champagne cork to flatten the ball and make the indentation. 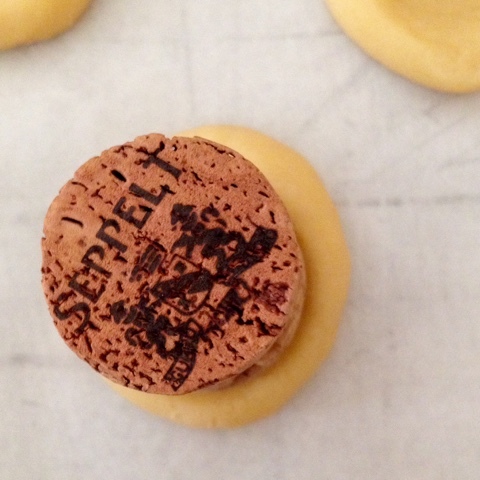 I wiggle the cork until I have an indentation that is big enough to hold a half teaspoon or so of jam. 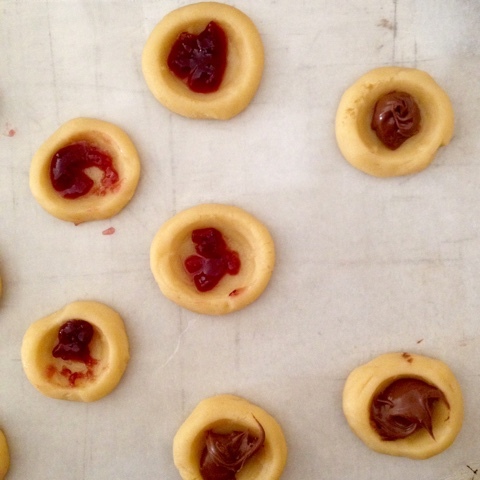 Spoon in some jam, lemon curd or Nutella and bake.